It’s time to unveil the Limited-Edition 2019 Alfa Romeo Quadrifoglio NRING vehicles. Test drive the Alfa Romeo 2019 vehicle lineup and enjoy a world-class driving experience. Every detail is carefully crafted to optimize performance and accentuate style. Alfa Romeo designers meticulously crafted this award-winning SUV to become the ultimate expression of Italian craftsmanship. Alfa Romeo returns to its roots by creating a world-class sport sedan designed to deliver performance at the highest level. 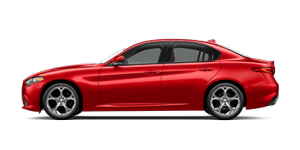 Alfa Romeo has pulled out all the stops with a sport sedan that exudes pure emotion. The intuitive interior of the Giulia is fully committed to the driver's every need. The 4C boasts 237 horsepower and a blazing top speed of 160 mph. With a host of new features, drivers can expect an enhanced performance making each trip unforgettable. Tantalize the senses when you put the top down and experience driving pleasure like never before. 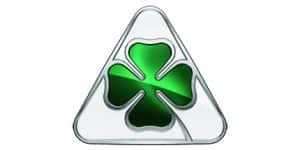 A legendary four-leaf clover is bestowed upon our most powerful vehicles and symbolizes our commitment to speed. With 0-60 time in just 3.8 seconds, the Giulia Quadrifoglio has earned its title as the fastest five-passenger vehicle in the world. 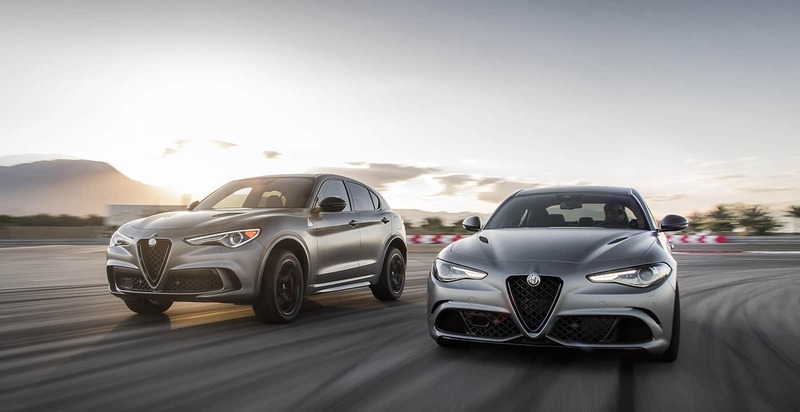 Delivering up to 505 horsepower and 443 pound-feet of torque, it’s hard to keep up with the thrilling performance of the Stelvio Quadrifoglio. Tell us what you want in your Alfa Romeo vehicle and we’ll find the one that is right for you. Locate an Alfa Romeo dealer near you for more details on special offers. Tease your senses by getting behind the wheel of an Alfa Romeo. Schedule a test drive today. 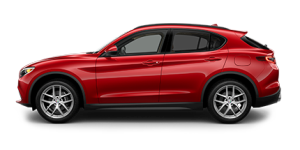 Lease a 2019 Stelvio RWD for as low as $409/month for 36 months. $4,404 due at lease signing. No security deposit required. Lease a 2019 Giulia RWD for as low as $389/month for 36 months. $3,427 due at lease signing. No security deposit required. 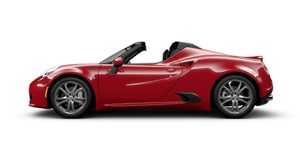 Take home the car of your dreams and experience the thrill of driving the 4C Spider. MSRP* Starting at $66,900.